December 3, 2012 — Comments are off for this post. 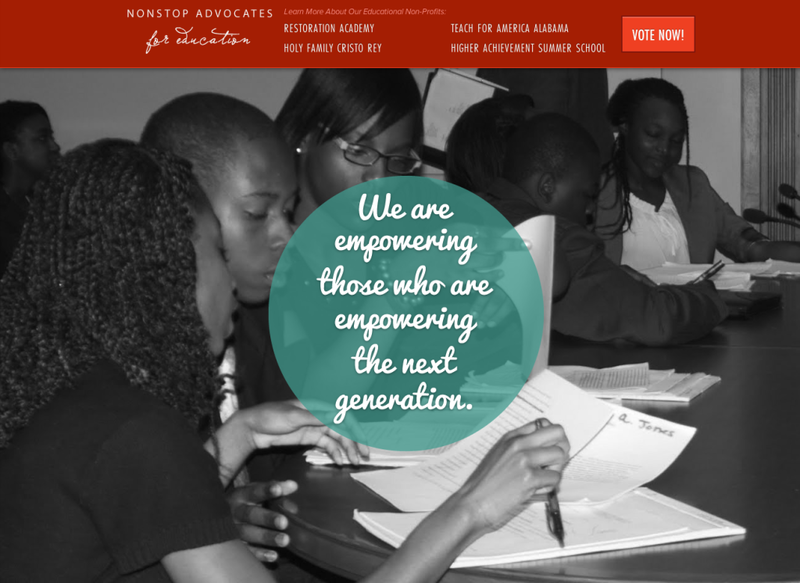 We're so thrilled to announce this years launch of NonstopAdvocates.com! 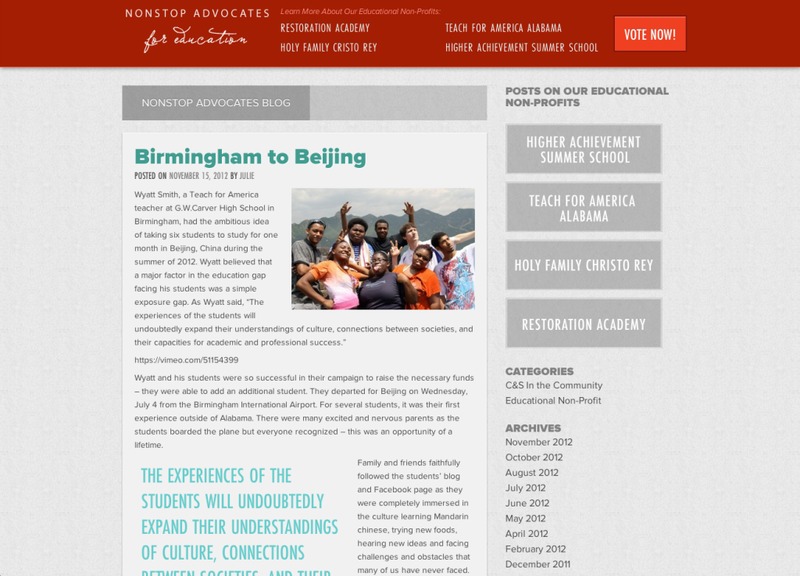 We designed and developed the site working with Christian & Small's Julie Ellis. 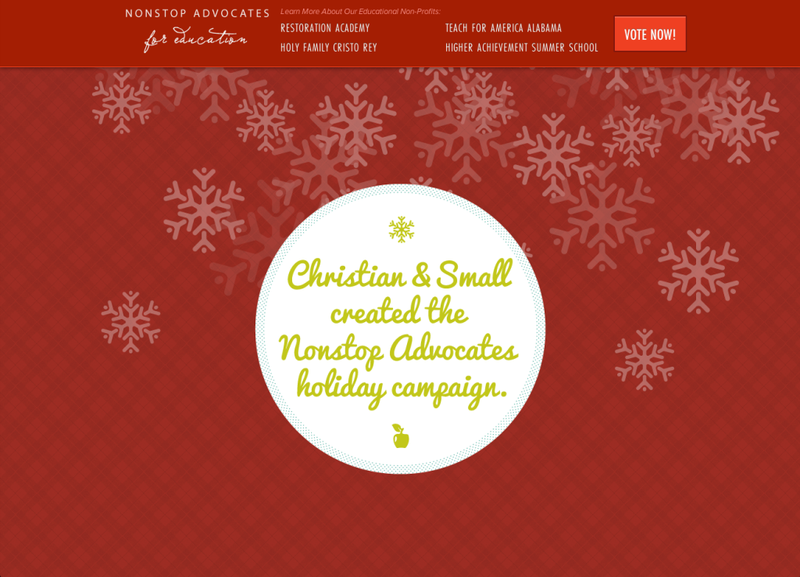 Throughout the years, Christian & Small Attorneys has given back to the community in outstanding ways. 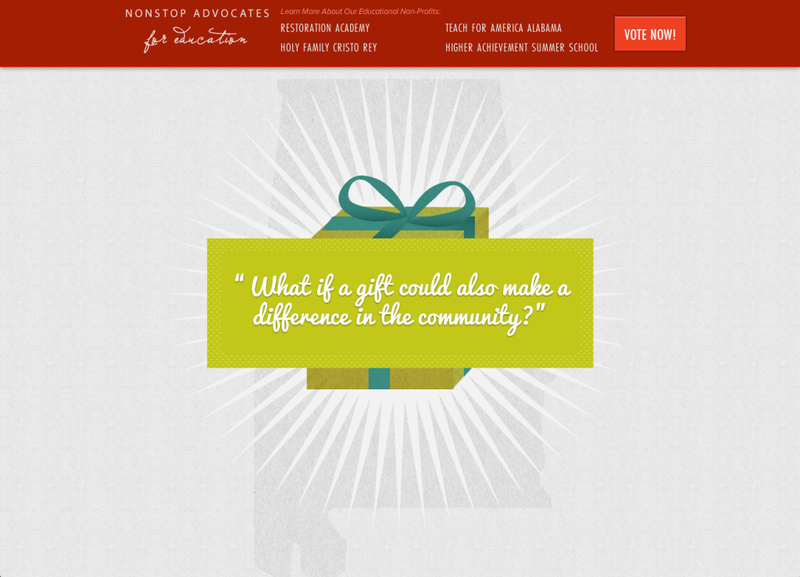 This will be the third year that they decided to give donations to charities in lieu of client gifts for the holidays. But not only do they give their money, they also give countless hours of time as well as supplies. Really the involvement can't be measured. 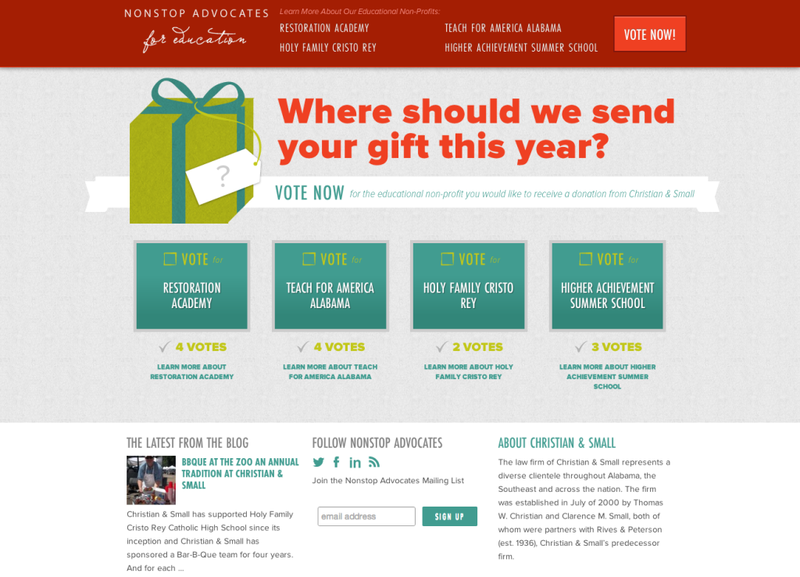 We decided that we needed a site that not only achieves the voting, but also tells their philanthropic story. 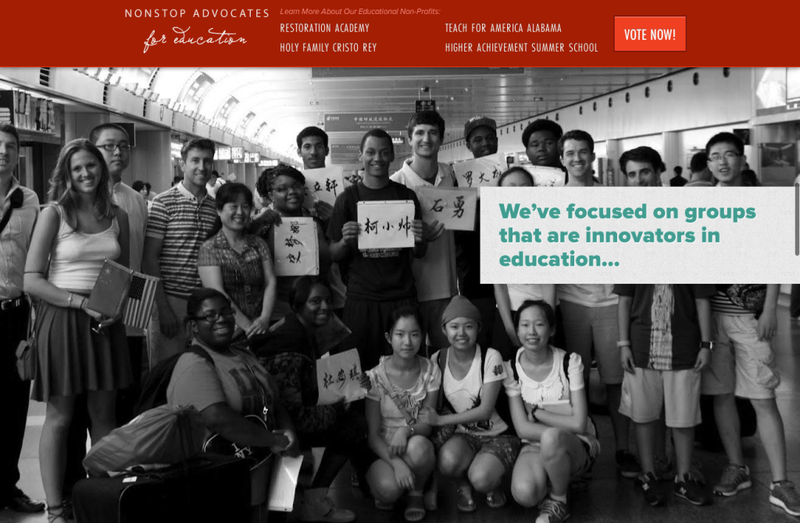 In terms of medium: we decided to use a parallax scrolling technique to tell what we couldn't say on a static page. Check it out, vote, and consider donating on your own to these great organizations!